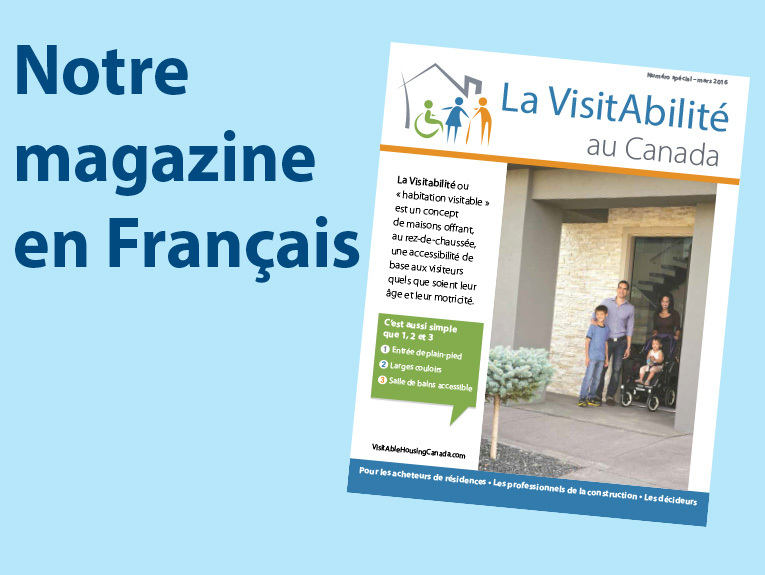 Introducing the concept of VisitAble Housing in publication opportunities available by the City of Ottawa (e.g., website, information material, events). Increasing VisitAble Housing in social housing projects by the City. Hosting a design charrette focusing on VisitAble Housing. 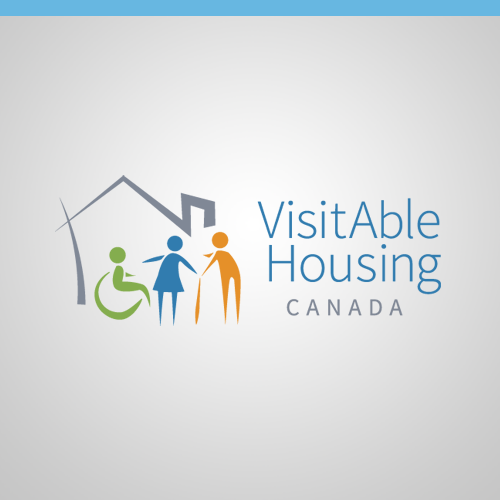 Disseminating information about VisitAble Housing via websites, newsletters, and other publications of organizations and associations within task force members’ networks. Including VisitAble Housing in housing projects that task force members are involved. Developing a design of a VisitAble bungalow with a walk-out basement. 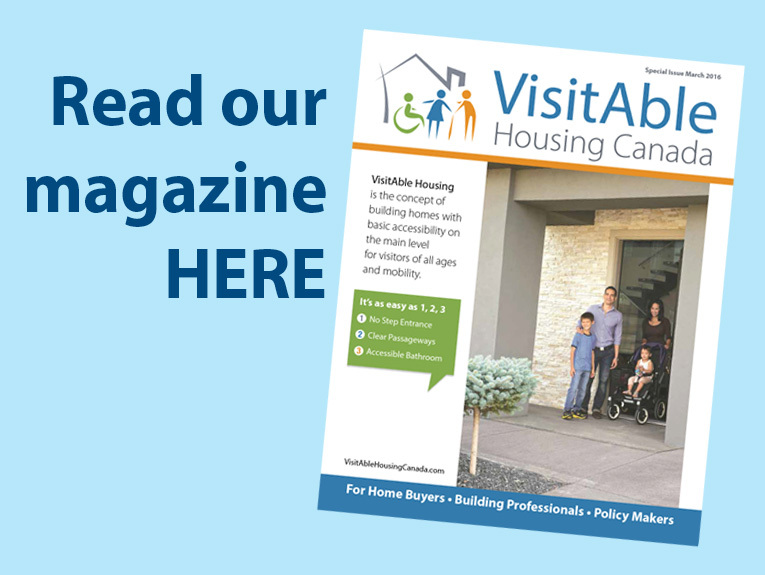 Promoting VisitAble Housing to be included in provincial policies, such as the Ontario Building Code and the Accessibility for Ontarians with Disabilities Act (AODA). Making presentations on VisitAble Housing for stakeholder groups, including professionals in the housing industry, older adults, and media. Cooperative Housing has been offering some barrier-free units for decades. Affordable Housing does have some barrier-free stock but research is required to identify each municipality’s availability. Ottawa appears to be a leader at this time. Since 2006, 10% of units are required to have a barrier-free path of travel in residential buildings taller than three storeys or larger than 600 square metres. Habitat for Humanity does have some barrier-free projects but are limited at this time. There are a limited number of custom built homes with barrier-free design features. Some group homes are barrier-free.